Summer Vacation? Then It’s Reno time! There is no better time to avoid the inconvenience of getting a new shower installed. The perfect opportunity for work in your home is when you’re planning on being away for a few days. To help you think ahead (and go back to planning your vacation), here’s three types of showers you could get installed this summer. Frameless Shower Doors eliminates the need for a curtain in your shower enclosure. Perfectly fitted shower doors allow you clean your enclosure more easily, and you can even opt for our DFI coated glass, which greatly reduces water or condensation residue on any glass surface. Back Painted Glass is another economical alternative for your home. Back painted glass backsplash reduces the amount of regrouting that will take place in the lifetime of your shower by cutting the wall into large, seamless pieces to construct it. It’s also highly customisable and stylish; the back can be painted any colour and the glossy reflection looks great with any modern-looking décor. Why Not Go For Ultimate Luxury? Through our variety of design combinations we have been able to pair our invisible TVs and switchable glass with shower installations. This means you can have a TV installed in your bathroom to function as the-best-place-to-ever-watch-a-movie, or something to have on while you go through your morning routine. 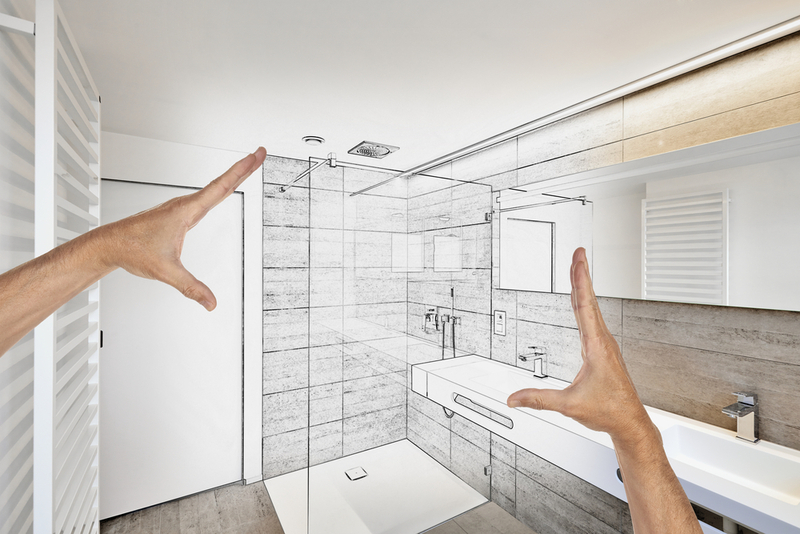 So while your mind is off the day-to-day grind, consider what investments you could make for your home, and have them conveniently installed during your absence.